One might imagine that a cookbook bearing the name of Salvador Dalí would be filled with appetizing dishes like “Shattered Lightbulb In Béarnaise Sauce” and “Crème De Soldier’s Headbone.” But that would probably be too obvious for him, and any crazy meals that we could think up would likely be deemed tediously weird by the surrealist icon. Instead, when Dalí created Les Diners De Gala some four decades ago, he did it on the level. Kind of. 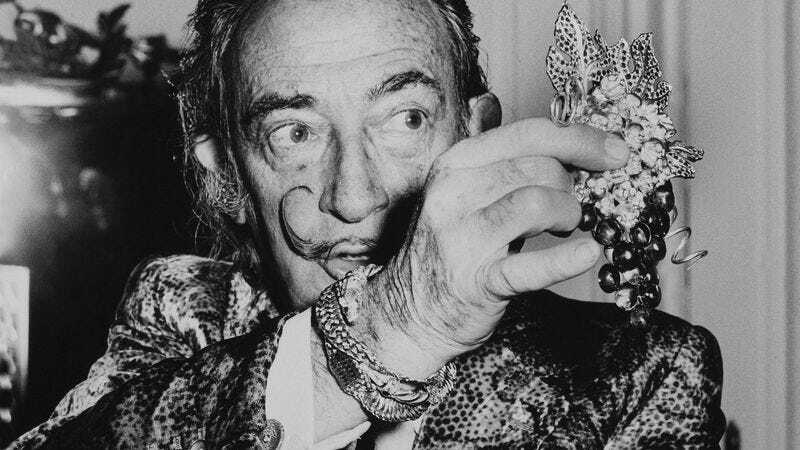 Collected from French chefs by Dalí and his wife Gala over the course of many years of opulent dinner parties, the recipes—such as “Veal Cutlets Stuffed With Snails” or “Bush Of Crayfish In Viking Herbs”—are neither toxic nor intentionally offensive, just a little further to the side of oddball decadence than most people are used to. The cookbook does feature some oblique references to cannibalism and some unsettling artwork, though. It is Dalí, after all. There are currently only 400 copies of that cookbook still in existence. Soon, though, there will be many more. Maybe even one on your bookshelf: Taschen is about to reissue the collection of 136 recipes, My Modern Met reports. Les Diners De Gala will be back out later this month, and is already available for pre-order.